In this category you will find the Ideal Standard rectangular shower trays. Thanks to its shape, Ideal Standard rectangular shower trays are suitable for almost every bathroom and are the most chosen form. In our bath shop you will find Ideal Standard rectangular shower trays from the following series: Ideal Standard Ultra Flat, Ideal Standard Playa, Ideal Standard Hotline New, Ideal Standard Washpoint, Ideal Standard Aqua and Ideal Standard Strada. 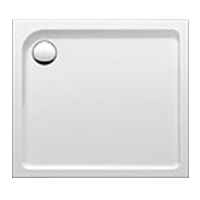 Decide for an Ideal Standard rectangular shower tray.